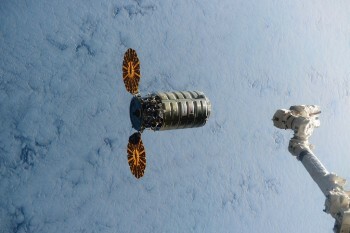 The fact is they are still in space. 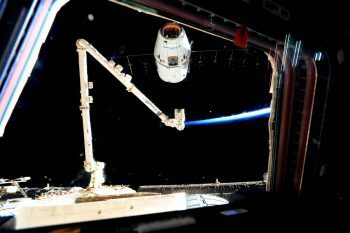 They are scheduled for return on the SpaceX CRS-9 supply flight, which is expected to undock from the Space Station at the end of August and landing in September. 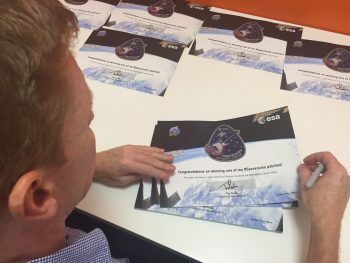 But we can report that Tim has completed signing your certificates for the patches. These will be mailed out with the patches as soon as they arrive. 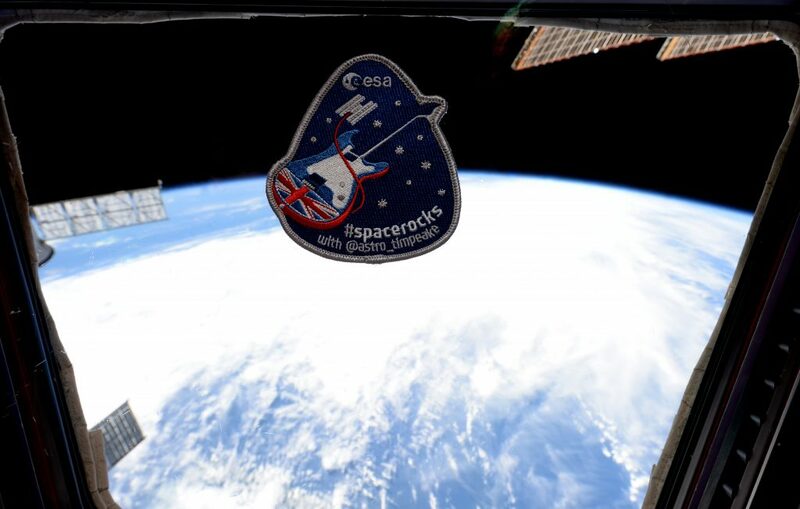 The cool limited-edition #spacerocks patches were flown to the International Space Station in Tim’s personal kit launched on 6 December 2015. This means they have actually been in space longer than Tim! On another note: congratulations to Tim on passing over 1 million followers on Twitter (no doubt due in part to the support of his #spacerocks back-up crew of bands and artists). He becomes the fourth astronaut to reach a million followers, joining a select group including NASA’s Mike Massimino and Scott Kelly, and Canadian astronaut Chris Hadfield. Apollo 11 astronaut Buzz Aldrin is not far away from joining this group, now on 957 000 followers at the time of writing. Awesome! Can’t wait to receive mine!